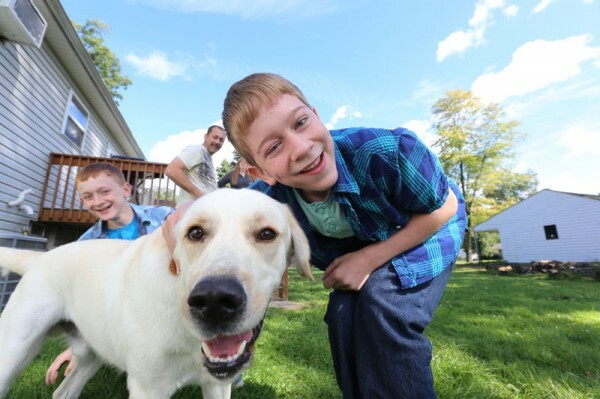 Tyler Jordan’s family first came to Akron Children’s Hospital Mahoning Valley when he was 8 years old to be treated for cerebral palsy, because of its close location to their home in Niles. His mom, Glenna, remembers being told when Tyler was born that he would never walk, talk, etc. We are happy to say he has exceeded all of these expectations. We think his interview stole some hearts just as he has done with our staff. Tyler is a real prankster, who loves toying around with doctors and entertaining when at the hospital. Right now, every 3 to 6 months Tyler comes to the Boardman Medical Pavilion for treatment and follow ups. He likes everything about his stays. As a frequent patient at Akron Children’s, Tyler has received the opportunity to do some pretty cool things other teens can’t do, including meet players from the San Francisco 49ers and be a “Pilot for a Day” with the U.S. Air Force at the 910th Airlift Wing in Vienna.